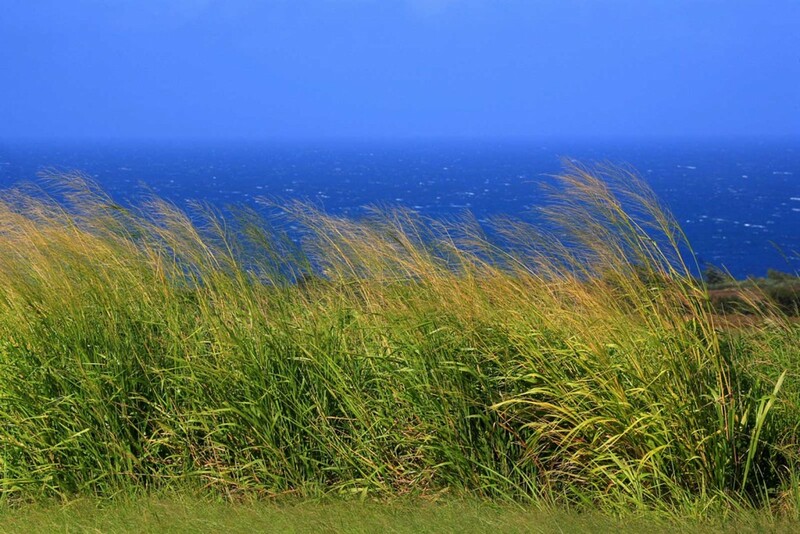 Tall grasses bend in the sea breeze on the shore of Maui. Backed by a bright blue Pacific ocean as it seamlessly blends into the horizon. Maui is rich with scenes like this along its less populated coast lines. The remind us both that Maui is a beautiful jewel and that it is windy here often…after all the “Valley Isle” was formed by ongoing breezes over many years. We love this picture for its simple nature and measured, contrasting colors.